Bishop Jerome A. Taylor is the son of Mr. James London Taylor and Mrs. Queen Esther Alexander. He was born in Atlanta, GA at Grady Memorial Hospital. He was reared on the East Side of Jacksonville, FL and attended Duval County Public Schools. In 1986 he graduated from Jean Ribault High School in Jacksonville, FL and enlisted in the U.S. Marines. He began his military career in 1987 where he served four (4) years of active duty and four (4) years of active reserves. He obtained his Associates Degree in Biblical Studies, his Bachelors and Master’s degrees in Biblical Studies respectively from Jacksonville Theological Seminary. In 1997, he received his Doctorate Degree in Christian Psychology from Truth Bible College. Bishop Taylor is the husband of Dr. Tonia A. Taylor. The Taylor’s have been married since March 1992. Together, they share the joy of marriage with many other couples in guidance and/or marriage enrichment forum through their ministry. The Taylor’s have three beautiful daughters: Destiny Joy, Dynasty Sophia, and Divinity Victoria. Family life is very dear to his heart. He treasures his time spent with his wife and children! 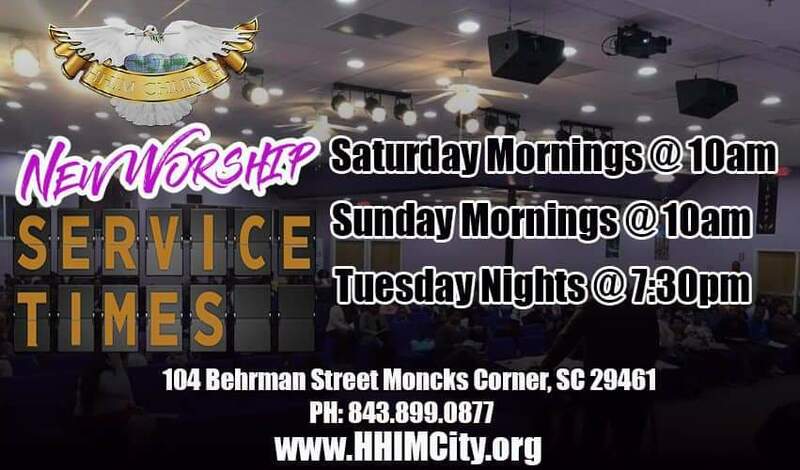 Bishop Taylor is the founder of Heart to Heart International Ministries (also known as HHIM Church) in Moncks Corner, SC where he currently serves as senior pastor. He is an anointed pastor who teaches the Word of God with clarity, precision, humor, and love. He has a heart for all people and desires to see them come into their God appointed purpose. His heart is on one accord with the vision that God has given the ministry in that he wants to see people come into a heart-to-heart relationship with Jesus Christ. June 25, 2005 he was ordained Bishop for the Progressive Interfaith Ministries Association’s (PIMA’s) Southeast region. He is the founder of Helping Independent Ministries (H.I.M.). This outreach ministry is for covering, fellowship, leadership training and accountability to independent ministries. 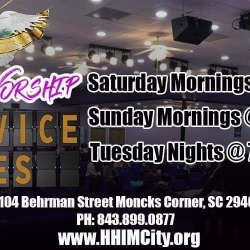 As Bishop, he is overseer of: Word Christian Center Church in North Charleston, SC where the senior pastor is Michael Sheppard; Cities of Refuge Harvest Center in North Charleston, SC where senior pastor is Vincent Smith and co-pastor Debra Smith; and Kingdom Seeker International in Summerville, SC where senior pastor is Don Scoggins and Lady Rodessa Scoggins. Bishop Taylor is the co-founder of Pastor’s Accountability Covenant (PAC). PAC was established December 28, 2010 as a covenant organization designed for the sole purpose of covenant, fellowship, accountability, and the building of Kingdom relationships between local pastors. He was voted the first president of the group – the role he maintained until January 2016. Bishop Taylor is the author of The Three Six Five Daily Inspirational Quotes, published in 2013.